I've been digging around on the FAQ and the internet but I'm trying to get a 'definitive' answer on what side drafts Alpina would have been using around 1966 into 1971. Specifically, they had a kit for the 1602 before they badged their own cars, and I'm trying to figure out what carbs would have been used. I have read that the earliest cars used the Weber DCOE and then they switched around '72 or '73 to the Solex DDH, but then I have also heard the earlier cars were the Solexes. It seems clear once they started selling complete A1/A2 cars that they were using Webers. Bonus points for knowing what tipo Weber carbs were used. My understanding is that they used Weber DDH 40s for the early cars. From my memory 40DDHs were made by Solex. 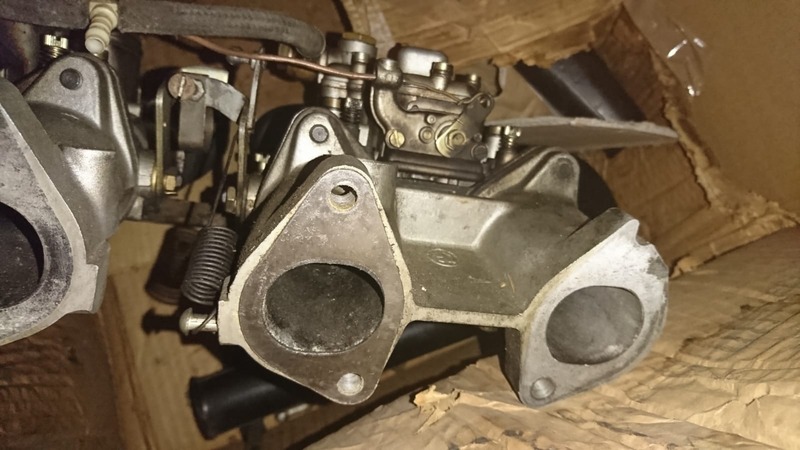 FWIW I have an old pair of Weber 40DCOE 88/89 that the Haynes Weber Carburettors book listed as original to a BMW 2000 Alpina (1990cc). The book also lists 40DCOE 84/85 for a BMW 1600 Alpina (1573cc) and 40DCOE 86/87 for a BMW 1800 (`1766cc). Doesn't exactly correspond to BMW model designations tho. All I have ever seen on the early cars were Weber carbs. Sometime, not exactly sure when they switched to Solex ADDHE's....my understanding is that they couldn't get the Weber's past the TUV (don't know enough to know but I am thinking the Solex' were cleaner?). I'll try to look through some of my old stuff and see if i see anything. Woah! Unfortunately that was not meant to be a joke. More like my mind reminding me how old I am. 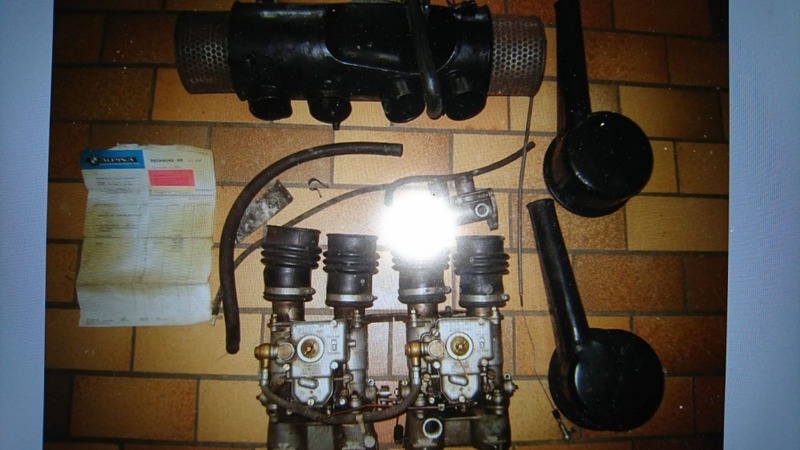 Yes, the DDH 40s that were on the A1 were definitely Solex! As I said by PM, first they used Webers, later Solex because of the emission rules in germany. The TÜV report for Alpina A1 released in 1974 is clear. There you will find a section.....the old alpina A1 report released 11. MAI 1971 ....Weber 40DCOE Typ19....now replaced to Solex 40 DDH. The new emission rules are valid for new cars from 1. October 1971. @whs.de Does the last sentence in your post mean that the DDH would perhaps have been used on a car in 1971? I don't want to use anything newer than 1971 but I am looking for an excuse to use some DDHs. Wolle, war das nicht 70? Oder betraf das nur die Regelung, dass Autos ab 70 zur ASU mussten? puhhhh, also ja war 26. Juni 70. Aber die beziehen sich im Gutachten aber auf den Passus Messung Typ 1 - Abgase bei verschiedenen Betriebszuständen - das gilt für Neuwagen ab 1.Oktober 71. Fragt sich nur, wie sich das auf die Webervergaser ausgewirkt hat, da wohl das geänderte Gutachten erst 74 kam. Perhaps, but I believe not. There is no evidence (maybe someone have something) that there were any changes in the A1 reports till 1974. The A1 report with Webers was not unvalidated in October 71. But in 1974 they had to react to the rules from October 1971 (this is my interpretation). This is why they changed to Solex. But to know all this, we have to study all these years of the "Bundesgesetzblatt"
Here is a complete Alpina sidedraft kit using a pair of Weber 40DCOE for use on BMW 1600. 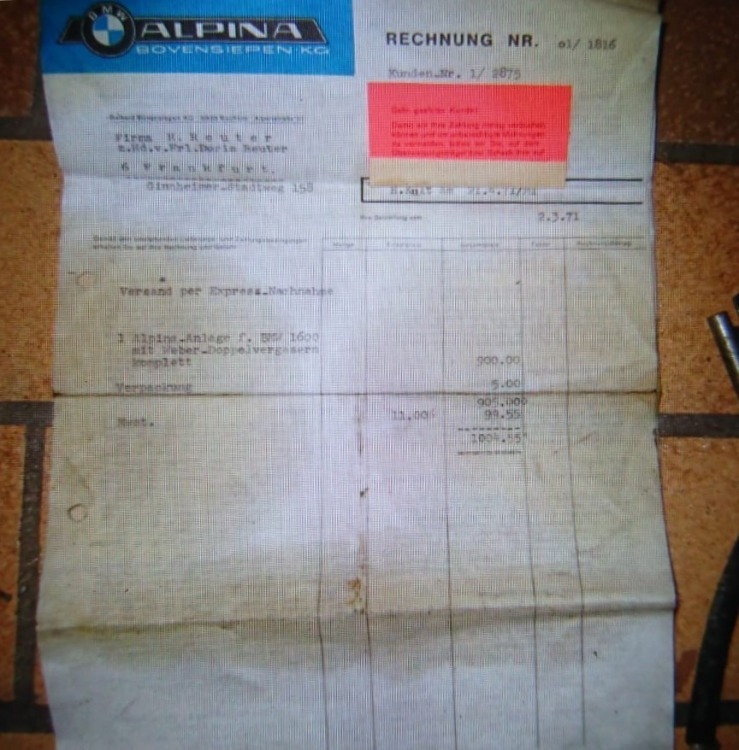 The intake manifolds are 1600ti pieces and these particular ones show 68 casting dates while the Alpina factory invoice is dated March 2, 1971. Note that the kit uses the typical Alpina cable set up for the throttle linkage. Perhaps uai and whs.de will have further observations to share. 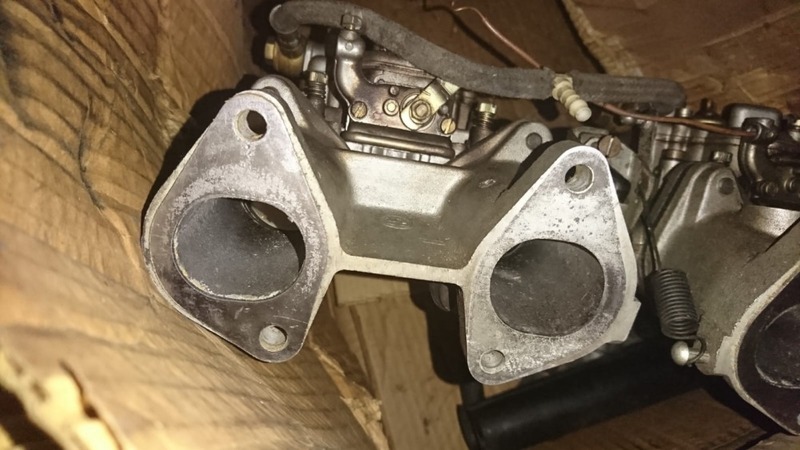 Regarding Bovensiepen's use of Solex carbs it is my impression that he resorted to using them much later on, not until the appearance of the 3 Series and emissions standards. The first image shows the Alpina publicity photo of the Solexes on the very cool ALPINA-lettered one piece intake that incorporates the water pipe in the casting.